As online shopping continues to dominate the retail world, brick-and-mortar stores are quickly losing appeal and retailers are adopting new approaches to attract faithful customers. Kohl’s department store, started in 1962 after originally establishing itself as a supermarket chain, has announced it will be partnering with Aldi, a food market of German-origin that’s seen steady growth in popularity since opening in the U.S. in 1976. 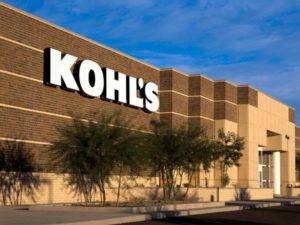 This big move starts with a “trial period,” as five to 10 Kohl’s stores across the country will share its space with Aldi to see how customers react. While the idea of buying clothes and groceries in one place isn’t entirely new—we are all familiar with Walmart and Target, after all—both companies have entirely different target markets, so this step may be a means of familiarizing one brand’s typical consumer with the other. 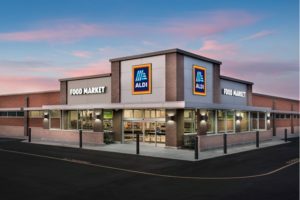 Mansell plans on increasing this store sharing concept to 500 stores across the U.S., but not all with Aldi alone. “The filters start at places like groceries, supermarket chains, just because they drive a lot of traffic, but it’s certainly not limited to that,” he says. Other big retailers like Macy’s and Lord & Taylor are also picking up on the concept of “right-sizing.” By teaming up with WeWork to lease out floors in their buildings, larger department stores are very likely to be more profitable in the long run with the realization that foot traffic is rapidly decreasing. WeWork, founded by Adam Neumann and Miguel McKelvey, is a company which finds and provides shared workspaces, startup communities and services for first-time entrepreneurs, freelancers, small business or large enterprises. WeWork was founded in 2010 and already values at $20 billion with plans to expand into education and real estate. As for how the Kohl’s-Aldi operation will work—will they continue to be entirely separate, or will customers be paying for a new blazer and their weekly groceries at the same register—the answer is simply no. As department stores continue to make adjustments in hopes to remain relevant in the age of digital shopping, we look forward to seeing who else Kohl’s teams up with in the future—there are rumors of fitness centers and even Whole Foods. Regardless of who’s next, this partnership changes the future of brick-and-mortar retailers as a whole, with an emphasis on how consumers shop.